I’ve been in this position for about seven months, and my experience so far has reaffirmed something I truly believe — this is an incredible time to be a part of the Florida State University family. Every day, I am impressed by the quality of our faculty, our students and our programs. Your dedication, creativity and innovation are inspiring. One of the most satisfying parts of my new job has been getting to know so many members of the FSU faculty. I’ve found you all to be open and helpful as we continue to work toward the common goal of elevating Florida State to national prominence. In this message, I want to update you on a few of our recent successes and share news from some of my travels. The Florida Legislature recently concluded its special session, and we are pleased that performance and preeminence funding both received legislative support. This will help us maintain our momentum as we continue to work toward our goal of Top 25 status. In addition, it is significant that the Earth, Ocean and Atmospheric Science building received funding in a very tough environment for Public Education Capital Outlay (PECO) projects. We are eager to move forward with these new funds. Our students are having tremendous success and that is a testament to our faculty who mentor them. Several have been recognized with prestigious national awards during the past few months, including Truman Scholar Daniel Hubbard, an Army veteran and psychology and sociology major studying the causes of suicide. We also have 10 students who received U.S. Fulbright grants for 2015-2016, doubling last year’s total. Over the past few months, I’ve traveled extensively to meet with hundreds of FSU alumni and friends. Trip after trip — from Atlanta to Washington, D.C., to California — what has resonated with me is how fortunate Florida State is to have such a passionate group of supporters who share our vision for the future. 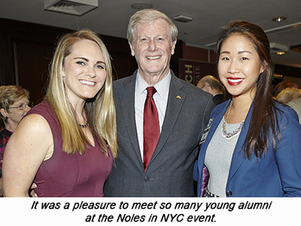 There was a terrific alumni turnout for the Noles in New York’s "Celebrate Florida State" gathering in May at the Waldorf-Astoria. After a week of showcasing our arts programs in NYC, it was wonderful to meet with so many loyal ambassadors devoted to raising the profile of this university. I really felt the energy and enthusiasm for FSU in the Big Apple. Our generous donors across the nation are the reason Florida State is more than two-thirds of the way to reaching our goal of $1 billion for the Raise the Torch campaign. We have raised $692 million as of June 18, and I thank all of you who have been involved in what is truly a group effort. 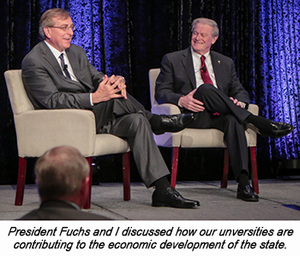 On May 19, I headed over to Jacksonville where University of Florida President Kent Fuchs and I participated in a panel discussion led by University of North Florida President John Delaney and hosted by the JAX Chamber. We spoke about how our universities are preparing the next generation of the state's workforce, and how we can work together to help drive the economy in Northeast Florida. This summer, I am pleased to welcome some important new hires to the Florida State family. Carol D. Edwards — an FSU alumna — will start as the dean of FSU Panama City and the College of Applied Studies Aug. 10. I’m confident that she will be able to use her skills to further the educational mission of the Panama City campus. James J. Clark, an expert on forensic mental health, has been named as FSU's next dean of the College of Social Work. He will succeed Dean Nicholas Mazza, who will step down in July and retire this fall. Jennifer Broomfield, a top national legal expert from the Department of Veterans Affairs’ National Domestic Violence/Intimate Partner Violence Assistance Program, assumed the new role of Title IX director June 1. We are thrilled she is leading the university's efforts to provide a safe, healthy environment for everyone at Florida State. I hope to have more to share about new hires soon. We are actively recruiting members of the National Academy of Sciences to bolster strategic areas, and we are excited about these additions to our faculty ranks. One of the happiest days for any president is seeing students achieve their dreams as they receive their diplomas at commencement. 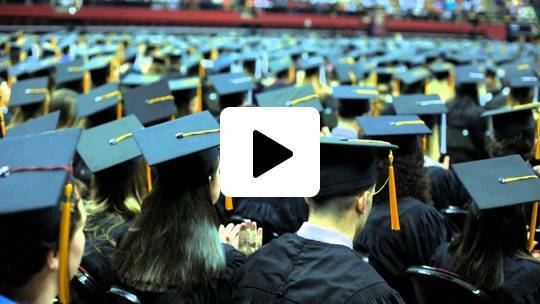 I encourage you to watch these wonderful video highlights to remind you of what you are helping our students accomplish. Finally, your research continues to generate a lot of positive media attention, and a few clips are included below. 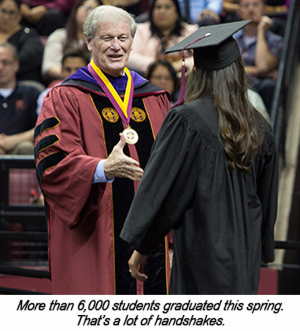 Thanks for all you do to elevate the national profile of Florida State University. I plan to send you updates on a regular basis throughout the year, and I welcome your feedback. I look forward to meeting more of you in the coming months and, together, achieving new levels of greatness.